The keyboard can play an important part in a reggae band. Like the rhythm guitar, the keyboard provides chords with occasional melodies, and it can help give reggae its distinctive sound. Likewise, if a rhythm guitar player is not available, the keyboard can fill in to provide that distinctive sound. 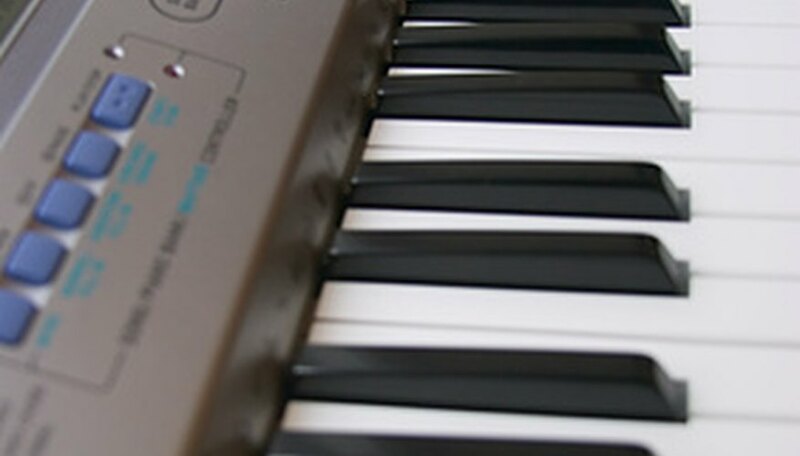 Depending on the band’s needs and desired sound, the keyboard will often be played with an organ sound, such as a wave organ, or something simulating a wah-wah pedal. Set the keyboard to an organ sound or a sound similar to a wah-wah pedal. Other sounds can be used if desired, based on the band or song’s needs, but it’s best to play a sound that does not sustain at all after you let go of the keys. Likewise, you don't want a sound that fades in. Play bass notes with the left hand, which should fit in with the key of the song and the chord being played with the right hand. Keep the notes choppy and short. These bass notes should provide a little melody and movement, especially if the reggae band doesn’t have a bass guitar player. Press down on the chord, but quickly let go of the keys. These chords should be played on the offbeat, which helps create the distinctive reggae sound. The chords will normally be played around middle C or above, but usually not too high on the keyboard. The chords will depend on the progression of the song. Reggae chords usually contain major and minor chords, such as Am, Em, D, and F, and feature the 1st, 3rd, and 5th note of the chord being played. Move to a different chord based on the progression of song. Keep the chords short, choppy and on the offbeats. Often, each chord will be played twice with the right hand before moving onto the next chord, but this can vary based on the song’s structure.